Annie Jaffrey: How I Fill In My Brows! Hi everyone! Finally got my new video uploaded! It is past 2am here and my internet has been sporadically turning on and off due to the damage from the storm so a video that takes 2 hours to upload will take 7-8 hours! Anyway :) I'm happy that is up! In this video I show you how I fill in my eyebrows - and I know there are already many tutorials of this on YouTube but I wanted to show my way of doing it, and maybe it will be helpful to some of you! Something worth mentioning is that a few years ago, I use to have the most hideous eyebrows ever... EVER! I just over plucked and the few hairs left over were holding on to dear life. I talk about it briefly in my previous eyebrow video here. Anyway the moral is: Don't over pluck! It took me years to realize this, and I wish someone would've just confiscated those darn tweezers lol but at the time I really didn't see it. I sometimes look back at pictures and honestly wonder what I was thinking. But I guess we all learn! And now after some discipline, I'm really happy with them! 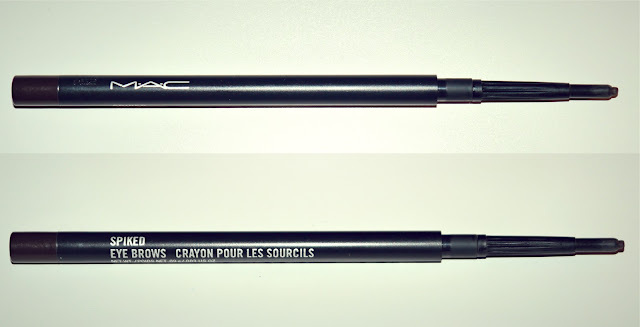 My beloved eyebrow beauty products! Jag tycker jättemycket om din sida! Kan du inte göra en video om vinter outfits. Jag gillade den om höstkläderna. 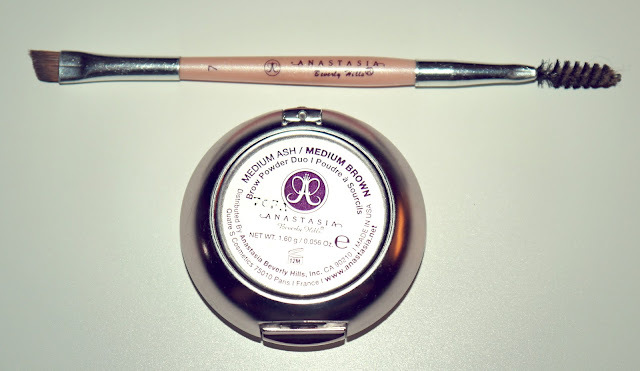 I love Anastasia products, I use the tinted brow gel and it is amazing! Annie I LOVE YOU! Even though I already basically do the same brow steps as you, I still had to watch you're video. You're insanely gorgeous, and when it comes to the way you live you are SO inspiring! Keep it up! I like using the ELF brow powder. It works very well for only $3. I also use the Great Lash clear mascara. One day I will try the Anastasia brow powder! Love your brows! Thanks for the tutorial! I love watching your vidéo and blog!!!!!! Thanks so much for the video. I used to have beautiful full defined eyebrows when I was younger. My eyebrows thinned out and have some bare spots due to thyroid issues. This will really help a lot. Hopefully with lots of practice I might be able to get my eyebrows to look better than what they look like now. Annie, could you do a "room tour" video please ? Great tips and i love that the video is short. :) In all your videos.. u look equally good before and after!! so pretty! you are truly beautiful inside and out! Oh and BTW.. i got super inspired by your falls looks and especially loved ur Zara peplum jacket and wanted to get one..:( cant find it anymore. Thank you dear for this . Hi annie I come originally from Morocco but live in the Netherlands and here you're not as well known as you are in America. I love your articles and videos because they are so real and you can learn a lot from. I try to eat healthier and move more now, thanks to you.